Box On continues Pushing the Music! 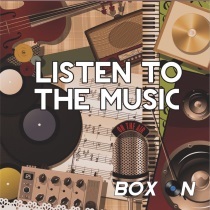 Box On Presents their latest brand new CD entitled “Listen To The Music”. This fourth CD album from Box On features some of your favorite polka tunes with an original song by Box On. Check out this CD today!